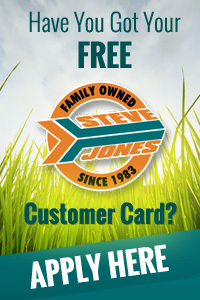 Steve Jones has been supplying Brisbane with quality hardware, paving and landscaping supplies for over 25 years. Steve Jones pioneered the concept of a joint hardware and landscape supply centre and we are now open and delivering from Everton Hills 7 days a week. 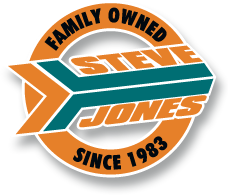 With friendly, old-fashioned customer service, Steve Jones is your local landscaping supply store, your local hardware store, & hire shop, all in one place! 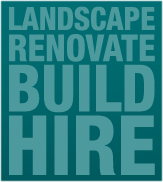 We consider ourselves industry leaders in landscape supply, garden supplies, & hardware. We are also a proudly independent hardware store, & family run. In the last 30 years, the landscaping supply and hardware business has grown to be one of the largest resellers of blocks and pavers in Queensland. We offer a massive range of big name and boutique bricks, pavers and retaining wall blocks at a great price. Just to name a few of the brands of pavers and blocks we sell: Adbri, Austral Masonry, Boral, Claypave, Custompaving, Edenstone and National Masonry. We also have access to quality local and imported stone products, including limestone and granite pavers as well as sandstone pavers and blocks. We have built a paver and block display area to help make your selection easier. Our display area is accessible and fully illuminated 24/7 at 27 Queens Rd Everton Hills, just up the road from our Everton Hills store. We supply bulk landscaping materials to all over Brisbane and South East Queensland. Whether you are a home gardener, DIY or a tradie, you will be impressed with our range and professionalism. We supply mulch, soil, gravel, pebbles, sand, bases, timber, cement products, garden products, chemicals, hardware, turf, grass seed and garden accessories. And we have a large network of quality suppliers of landscape and hardware, so if we don't have it in stock we can get it for you! You are welcome to drive on in with your ute, trailer, van, car, truck or other vehicle and we will fill it for you with our front-end loaders. We can also supply small bags of material, as well as bulk bags. Plus we deliver of course. 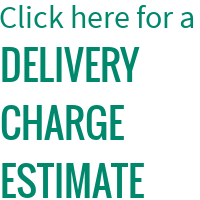 We run discount programs for tradies, locals and seniors. Please register online, or see us in store! In addition to our fully stocked hardware warehouse, we can hire you the big ticket items you might only need once or twice to complete your job such as turf rollers, cement mixers, stump grinders, compactors, trenchers, mini bobcats and excavators through our Hire Shop. Here to help you get the job done right, our motto: YOU CAN DO IT! Visit our Hire Shop section for more information or speak to one of the team at Everton Hills 07-3353-3566.